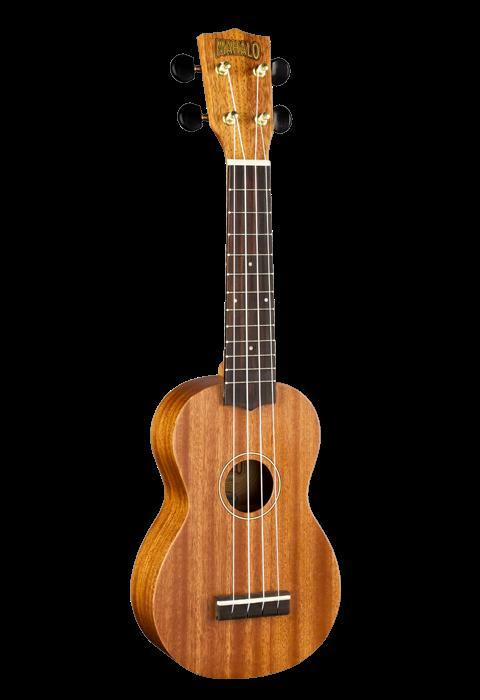 The Hamano U-320 soprano ukulele uses selected mahogany for its body, nato wood for the neck, and rosewood for the fingerboard and bridge. The nato neck and rosewood fingerboard combination contributes to complex trebles, thick bass and an appealing midrange. The dolphin shape geared gold plated machine heads offer smooth and accurate tuning. 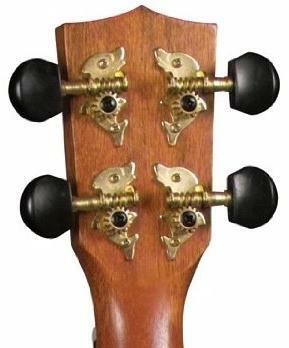 The ASB saddle and nut transfers maximum vibration to the ukulele, generating louder sound, fuller tone and more harmonics. And, the Aquila Nylgut strings are simply the best ukulele strings on the market.